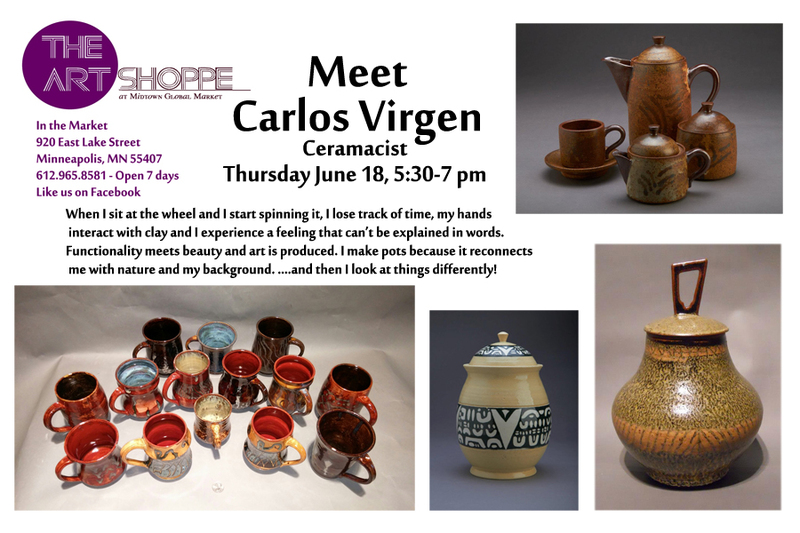 Carlos Virgen: Ceramacist — How does he do it? How does he make his art? Ask him today (5:30-7) at the Art Shoppe. Free parking in the ramp with a Merchant’s stamp.